The big questions of contemporary science and faith are explored in this book that turns to today's leading Christian scientists and thinkers in a fascinating way. Want more than a single voice in the issue of faith and science? Christians reject the consensus of contemporary science about the age of the universe, the implications of genetics, and so on. This book presents interviews with 15 eminent scientists who discuss the compatibility of their Christian faith and their mainstream scientific commitments. Features John Polkinghorne, Alister McGrath, John Lennox, Francis Collins, and John Houghton. A collection of exclusive interviews in which 15 eminent scientists talk about their science and their Christian faith. In this collection of interviews, scientists show how Bible-believing Christianity is compatible with contemporary scientific thinking. Christians do not have to choose, they say, between big bang and the Bible. Genesis and genetics can go together. In this book, big questions of the past, the present and the future are asked and answered; the physical impacts and moral implications of climate change are investigated and the intricacies of human DNA and the morality of genetic engineering are unravelled. 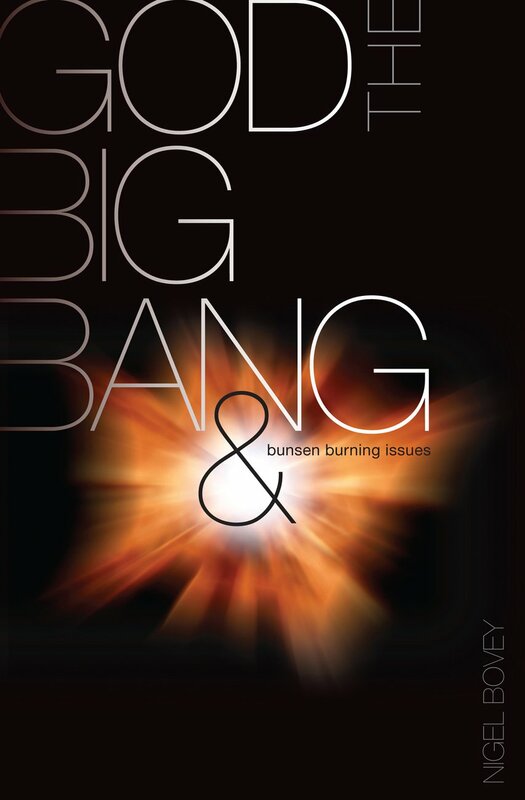 God, the Big Bang and Bunsen Burning by Nigel Bovey was published by Authentic in January 2008 and is our 13691st best seller. The ISBN for God, the Big Bang and Bunsen Burning is 9781850788065. This book is a fantastic read! It offers a great insight into the science and religion debate from some of the world's top scientific brains. It discusses many topical issues within society, such as embryology, genetically modified crops, gene therapy, abortion and the environment. It also discusses topical issues within the Christian faith, such as the book of Genesis, Adam and Eve, evolution, intelligent design (ID), miracles, the Virgin birth and the Resurrection. It is easy to read, even if you do not have any scientific background. As you read many times you may think to yourself 'wow, I never knew that'. It is a thought provoking and very well written book, so good, I'm reading it again for a second time. It goes to show that you do not have to choose between science and religion, you can believe in both, without committing intellectual suicide. Got a question? No problem! Just click here to ask us about God, the Big Bang and Bunsen Burning.